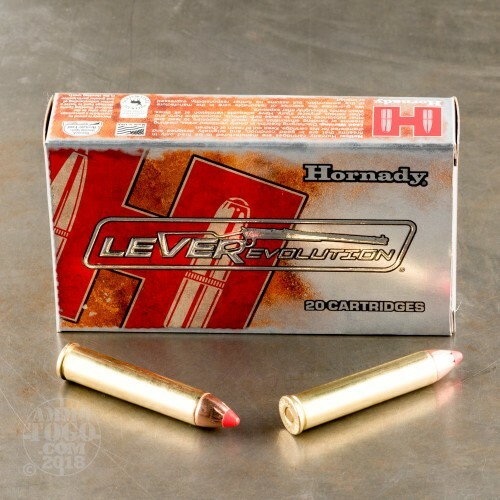 Since the company’s beginning in 1949, Hornady has grown from a simple two-man operation into one of the world’s top producers of high-performance ammunition. Specializing in production innovation and innovative designs, Hornady ammunition is famous for its reliability, precision accuracy, and unparalleled terminal performance. 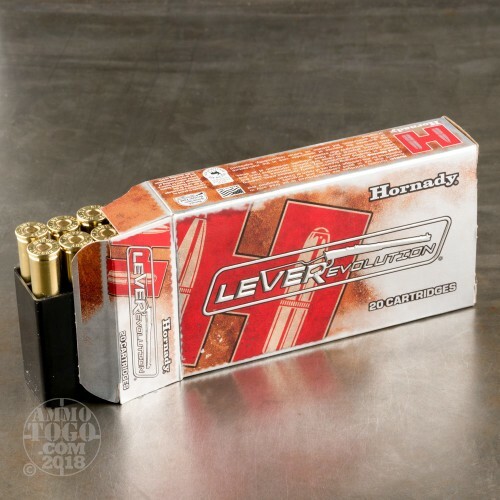 Hornady’s LEVERevolution line is specifically engineered to provide maximum performance in your lever action rifle, bringing modern ammunition technology to more traditional firearms. 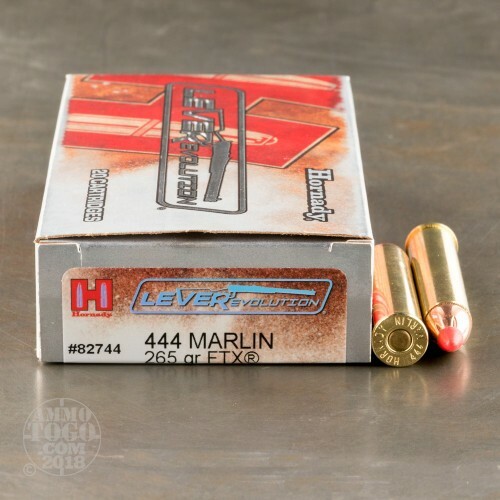 This package contains 20 rounds of Hornady .444 Marlin ammunition. Each cartridge is loaded with a 265 grain FTX projectile. These unique bullets feature state-of-the-art elastomer Flex Tip technology. The flexible polymer tip increases ballistic coefficient for flatter trajectories and increased accuracy, yet is completely safe to use in tubular magazines. This factory fresh ammunition is 100 percent non-corrosive, boxer primed, and features high-quality brass cases. Each round produces a consistent muzzle velocity of 2325 feet per second with 3180 foot pounds of muzzle energy. 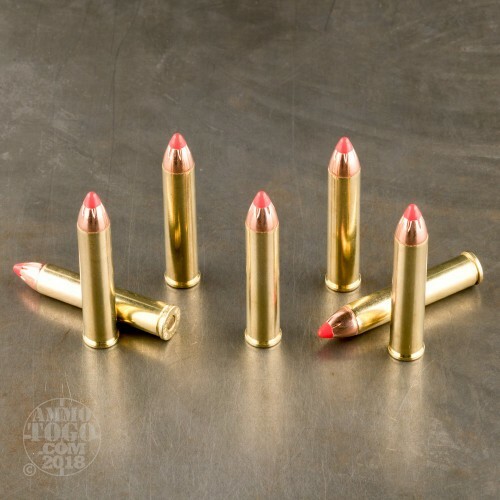 Use these rounds for big game hunting.